For someone who is a passionate fan of cinema and the infamous awards ceremony that accompanies it, it’s always a thrill to read through a fresh set of Academy Award nominations. But over the years, what I’ve found is equally as intriguing is reading the “Snubs and Surprises” lists scattered across the internet almost immediately after the nominations are announced. They always begin the same way: “Such-and-such year was a great year for film and this morning the Academy announced its nominations for the such-and-such Oscars, and while we thought that they did a pretty good job, there were a few snubs and surprises.” It’s not word-for-word, but that’s pretty much the formula you’ll get if you read through enough lists. So after looking over a few of said lists, as well as the list of nominations itself, I’ve got my own thoughts on what really were snubs and surprises. But instead of giving an all-too-standard list of just the two, I’m also including a few that I read from other sites that I’m not sure I would consider a snub or a surprise. So here’s my list of Snubs, Surprises, Non-Snubs and Non-Surprises. For the sake of clarity, consider “Non-Snubs” as rightful snubs and “Non-Surprises” as things that may be fair or unfair, but I wasn’t really shocked by them. I suppose I should have come up with a more clever name for it, but I’m none too concerned. Tom Hanks: As one Yahoo dubbed it, this one is more of a double snub. Hanks, an Oscar veteran, was brilliant in not one, but two films this year. He brought a lot of heart and grace to Walt Disney in Saving Mr. Banks, but you never felt as if he was being unrealistic with his character, especially when he portrayed the dogged determination for which Disney was known. And even that wasn’t his best performance of the year, as he turned in a stunning performance as Captain Richard Phillips in…well, Captain Phillips. Throughout the movie, Hanks portrayed the level-headed commander perfectly, but it was the last scene in which he really knocked it out of the park. I’ll talk more about the stacked Category of “Best Actor” later, but I will say that if anyone left out deserved more, it was Hanks. 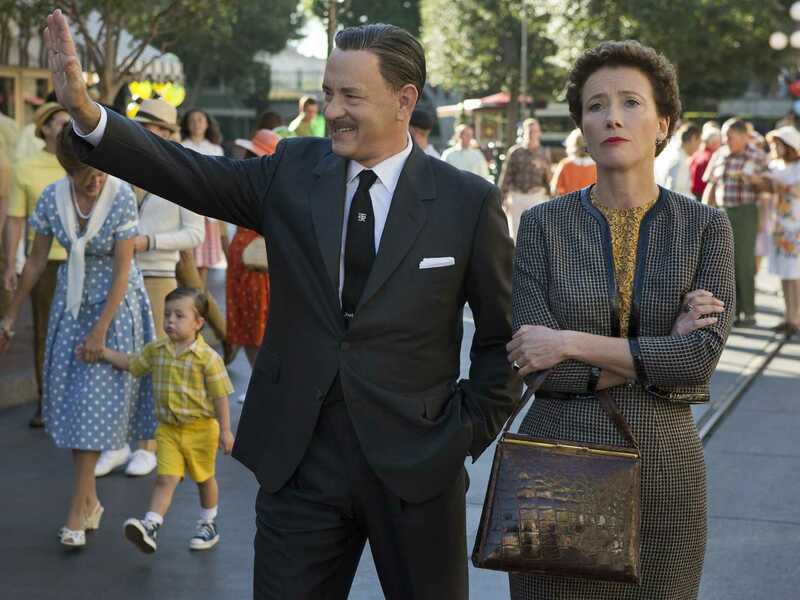 Emma Thompson: Getting back to Saving Mr. Banks, Emma Thompson’s turn as P.L. Travers (while perhaps not as historically accurate, to no fault of her own) absolutely made that movie. I can’t remember the last time my affections toward one character swung so quickly and heavily as they did because of Thompson. It was especially show-stopping when you consider how different her real personality is to that of her character. It’s another case of a stacked category, and it certainly is hard to compete when you’re going up against the likes of Judi Dench and Meryl Streep, but Thompson didn’t get the nod that she deserved. Best Supporting Actor: Yeah, I’m pretty shocked with this category as a whole. Not everything was a surprise. Jared Leto and Barkhad Abdi were locks for a while now and should be the front-runners going forward. But the rest of the nominations were pretty surprising to me. I can’t give a completely honest assessment of Fassbender and Hill’s roles in their respective films, at least not yet. And Cooper did a marvelous job in American Hustle. But I figured Daniel Brühl would be representing Rush as he did at the Golden Globes. And since I was such a Tom Hanks supporter above, would it have been possible to slip him in here for Saving Mr. Banks, if only to keep him from being shut out completely? Some believe his role could’ve qualified for a supporting award. So while this category may not be a surprise for most, it confused me. Julia Roberts: This was a pleasant surprise in my eyes. August: Osage County didn’t get much love from awards committees and maybe rightfully so because of it’s confusing message and the overall quality of most cinema this year. But without the efforts of Julia Roberts as Barbara, it would’ve been a pretty weak movie. Not that I didn’t enjoy Meryl Streep, Chris Cooper and Benedict Cumberbatch, but Julia Roberts was the most important character to that story and she absolutely killed it. Some think it should’ve been considered a leading role, but when Streep is present, there’s no chance. Still, Roberts deserved this. Pixar: You don’t have to be a film buff to know that Pixar dominates the Best Animated Feature category. Even last year, the mediocre-at-best Brave took home the award. 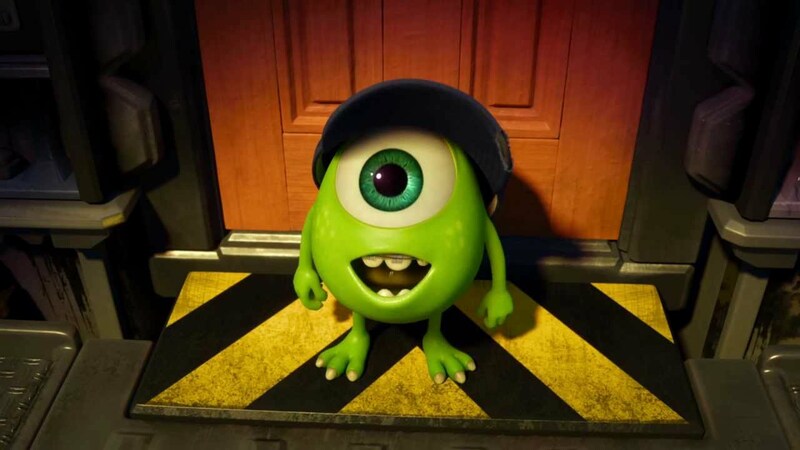 But there was no love for Monster’s University this year. Sure, Disney got in for Frozen (which was probably the best of a weak crop), but Pixar was left out in the cold, even with a movie like The Croods getting a nod. I won’t call it a snub, because after Brave, Pixar deserved to be on the outside looking in. Call it delayed justice. The Butler: To be fair, I haven’t seen The Butler at this time, but I’m planning on it very soon. And while I’m sure it’s a fine film and Forrest Whitaker is one heck of an actor, it seemed like Oscar-bait to me. Yeah, yeah, you can say that about a lot of films, but was this one really as good as others? It also seemed like a bit of a campaign film to me, and people I know who have seen it have confirmed that belief. Take that as you may. Paul Greengrass: I was a huge fan of Captain Phillips and I’m very glad that it got its Best Picture nomination. But a lot of people are upset that its director, Greengrass, didn’t receive an accompanying Directing nod. While he did an admirable job with a hard subject and setting, Greengrass’s documentary-style directing was a tad distracting at times and turned some people off to what was a quality film. Fair Warning: It’s about to get feisty. Meryl Streep: Because of the divided reaction to August: Osage County, there was speculation if Streep’s predictably strong performance would get passed over in favor of actresses in stronger films. That was not the case, however, as she beat out the odds (and Emma Thompson) to get a nod. Did she deserve it? That’s obviously not for me to decide. She was brilliant…but I’ll be very surprised if she wins. Scarlett Johansson: No one should be surprised that Scarlett didn’t get any sort of recognition for voicing Samantha in the wonderfully smart and poignant Her, but that doesn’t mean it’s any less frustrating. The Academy has a history of passing over motion capture and voice work. And Johansson has always been under-appreciated as an actress, so this just highlights that oversight. But can anyone who has seen Her imagine it without the allure of Johansson’s Samantha? Especially when the supporting actress category was so fluid, she deserved a spot. 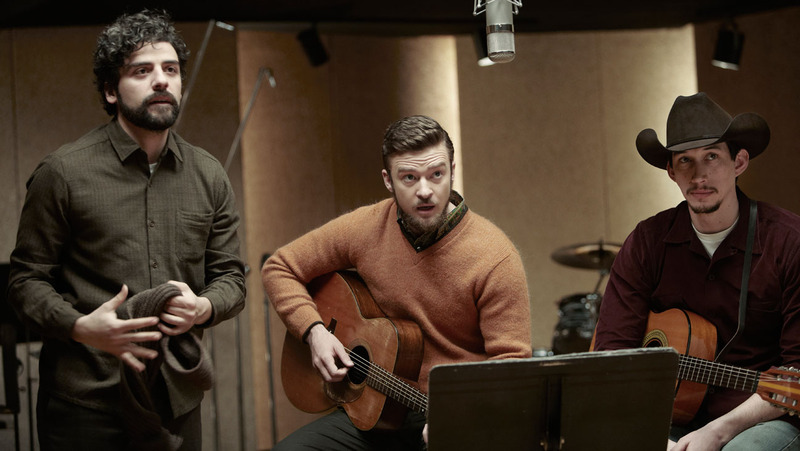 Inside Llewyn Davis: I won’t tackle the Best Picture conundrum just yet. Instead, I’ll just talk about the gross oversight of nominations as a whole. While it got a few nods (Cinematography and Sound Mixing), there were no Best Actor, Directing, Original Song or Original Screenplay nominations for the Coen Brothers. But, really, fans of the film shouldn’t be shocked. While it was one of the Coens’ finest performances, the Academy wasn’t going to show a lot of sympathy for such an unsympathetic character. Because that’s what Inside Llewyn Davis was; it was a character and his perspective. The movie seemed cold because that’s how Llewyn saw the world. I don’t agree with it for one second, but I saw this coming. Unfortunately it means that Oscar Isaac, Justin Timberlake and two of the world’s finest filmmakers won’t be recognized for their achievements. The Best Actor Pileup: Are you ready? Here it goes: Robert Redford, Tom Hanks, Oscar Isaac, Michael B. Jordan, Joaquin Phoenix and Forrest Whitaker. Those are the most notable leading men who got left out in the cold when it came to the Best Actor in a Leading Role category. Even if the Academy did a special 10-person expansion for one year, you wouldn’t be able to fit everyone in. It’s really impossible to determine who truly deserves to fill out the top 5 spots because of subjectivity. A lot of people were surprised that Christian Bale got a nomination instead of Hanks or Redford, but Bale was exceptional in American Hustle, even if his comb-over wasn’t. This is just an unfortunate year for voters and lead actors alike, because all of these guys deserved some kind of recognition for their efforts. In any other year, they’d be included. Best Picture: Am I happy that the Academy finally expanded the money category to 10 spots? Yes. Am I surprised that they abused it’s expansion and will probably continue to do so? Not really. But it really is a puzzling question (to put it nicely). When only 5 motion pictures were being nominated, did we ever see a year where they undercut the limit? No (correct me if I’m wrong), because it would be stupid. There are always a bunch of worthy films; that’s why they expanded it. So why, pray tell, are they deciding they can undercut now? There are almost always going to be at least 10 movies to fill out that category. To only use 9 nominations is almost insulting. Seriously, guys, you couldn’t think of one film to take home that last spot? How about Inside Llewyn Davis? Maybe Fruitvale Station? Critics adored The Spectacular Now, but it wasn’t Best Picture worthy? If you wanted a crowd pleaser, you could’ve gone with The Hunger Games: Catching Fire. Want more Oscar-bait? Check out Saving Mr. Banks, All Is Lost, Rush or August: Osage County. It sounds absurd to mention some of these for a Best Picture nomination, but why leave one spot open when there were so many wonderful films in 2013? Oh well…see you March 2nd my cinephile friends.